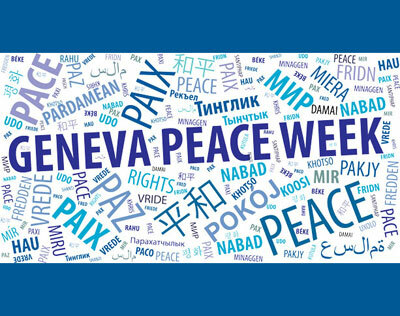 Geneva Peace Week has officially commenced! This means the town will be teeming with events and discussions on the cross-cutting nature of peace, providing the opportunity to maximise synergies between organisations in Geneva. 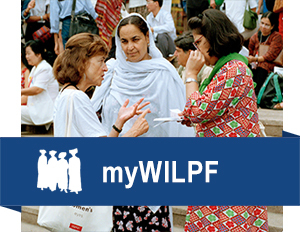 By involving multiple actors and attempting to break down the compartmentalisation of peace, security, development, human rights, and other categorisations, the Week echoes WILPF’s own integrated approach. We will be actively participating all week, and are particularly looking forward to the Graduate Institute Centre on Conflict, Development and Peacebuilding’s research and book launch on 19 November from 12:30 – 14:00. The event, titled Broadening Participation in Peace Processes: does it contribute to a more sustainable peace?, is particularly relevant to us because of our own work to promote the inclusion of a wide range of civil society actors before, during, and after conflict. – What are the factors contributing to the quality and sustainability of peace agreements and political transitions? – How can broader participation of diverse voices be organised without reducing the effectiveness of the negotiations? – Which actors have been included with what kinds of results? Be sure to attend the event if you are in Geneva, or follow our live tweets during the event!